Last week, Quebec Health Minister Gaétan Barrette tabled a bill that, if passed, will strictly prohibit women over the age of 42 from having access to in vitro fertilization (IVF). While the purpose of the bill, on the surface at least, is to lessen financial strain on the healthcare system, this particular section of the bill doesn't seem to have been included for that purpose. It seems much more likely that what the Quebec government is trying to save is donor eggs, not dollars. Marina Adshade UBC professor, public speaker, and author of The Love Market: What you need to know about how we date, mate & marry. Last week, Quebec Health Minister Gaétan Barrette tabled a bill that, if passed, will strictly prohibit women over the age of 42 from having access to in vitro fertilization (IVF). While the purpose of the bill, on the surface at least, is to lessen financial strain on the healthcare system, this particular section of the bill doesn't seem to have been included for that purpose. It seems much more likely that what the Quebec government is trying to save is donor eggs, not dollars. When Quebec started providing full health insurance for assistive reproductive technologies (ART) in 2010 it was heralded as a world leader in recognizing infertility as a medical condition. The province had three goals in introducing the program: reduce health care costs resulting from multiple births, enable infertile couples to have children, and increase the number of births in the province by 1,000 to 1,500 per year. Since then the program has come under some criticism, with the health minister calling it an "open bar" for anyone who wants a baby. Some have expressed discomfort that the program, which was designed to help infertile heterosexual couples, has also been embraced by gay couples using surrogate mothers. Despite the belief that the program has been widely abused, the births to babies conceived through ART had only increased by about 700 by third year of the program and, in fact, the total number of births in the province has fallen every year since its inception -- not increased as anticipated. An advisory report issued by the province's Health and Welfare Commissioner in June 2014 found that the province has achieved the first goal of reducing the health care costs resulting from multiple births. While this reduction in costs was not sufficient to offset the cost of the program, the report recommended the province find alternative ways to fund the program rather than eliminate it all together -- a recommendation the provincial government appears have completely ignored when it announced an end to insurance for coverage for these treatments last week. The report also recommended a moratorium on IVF for women over the age of 42 who wish to use their own eggs. This recommendation is made based on the health risks to children born to women over this age who do not use donor eggs. At no point, however, does the report suggest that women over the age of 42 who have IVF with donor eggs impose any additional costs on the system or that there are any additional risks to those children. This bill goes much further than banning women over the age of 42 from using their own eggs, it would ban women from having IVF even when donor eggs are used and even when the women are willing pay for the procedure themselves. In addition, if passed, the new bill will impose heavy fines of up to $50,000 on doctors who refer these women to clinics out of the province for the procedure. According to data made available by the Center for Disease Control in the United States, the only real difference between 43-year-old women and younger women is the need by the slightly older woman to use donor eggs; women in this age group are not less likely to give birth following an IVF cycle using donor eggs than are women in their late 30s. If Quebec imposed the age-specific moratorium recommended in the report, then 100 per cent of births to women over the age of 42 would be using donor eggs and, I suspect, this is the real reason for including a complete prohibition on the use of IVF for women in this age group. 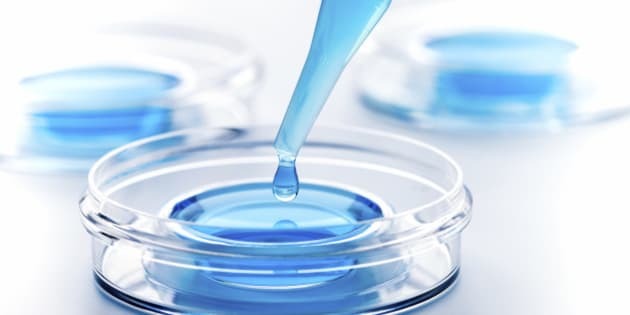 There has been considerable debate over the ethical implications to using donated genetic materials in the IVF procedures and those implications appear to cause the most discomfort when the donor is a woman. There are many who wish to argue that a child born from a donated egg is deprived of the right to know his or her biological mother, even when we readily accept that a child born from a donation of sperm will never know his or her father. It is worth nothing that if the new bill is put into law, couples undergoing ART that require using "genetic material" donated by the third party will have to bear the additional expense of undergoing a psychosocial assessment that appears not to be required by couples using the their own gametes. Governments should be able to restrict medical practices that are widely considered unethical, however, hiding this restriction in a law that is being promoted as a cost-saving exercise eliminates the possibility of creating a forum for debate over ethical practices in reproductive technology.